These Surface-branded headphones could soon be joined by smaller, in-ear ones. Another of Apple’s rivals have apparently noticed what a huge success AirPods have turned into. Microsoft is supposedly developing its own earbuds. These will have to face competition from Samsung Galaxy Buds as well as some possible earbuds coming from Amazon. And AirPods too, of course. All of these have to play catchup. Apple’s tiny headphones made up a massive 60 percent of the overall “wireless hearables” market in Q4 2018. And combined with Apple Watch, they give their maker the lion’s share of the global wearables market. Details are still scanty on Microsoft’s possible foray into in-ear wireless headphones. Their internal code-name is Morrison, and they might be called Surface Buds, according to Thurrott. Just as AirPods tie into Siri, Microsoft’s rival is expected to use the Cortana voice-controlled digital assistant. Noise cancellation could also be feature, which would put them ahead of Apple’s current offering. When Surface Buds will launch, and what they will cost, remain a mystery. Microsoft actually has some experience in this product category. 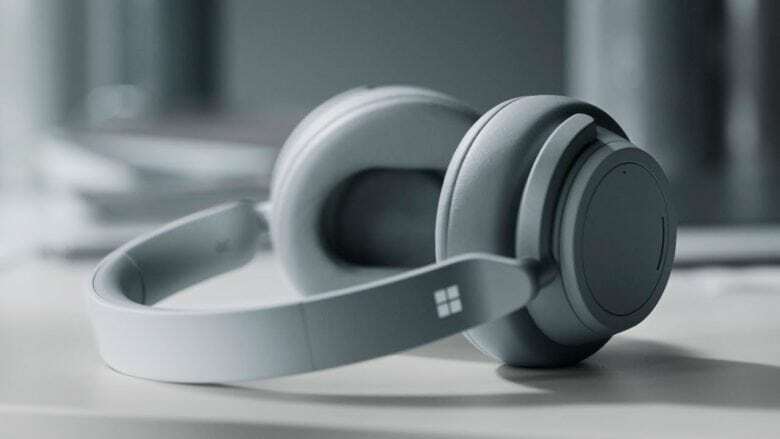 There are Surface headphones. And the company made earbuds for its Zune music player back when it still unsuccessfully competing with iPod.